Note that I say 'educate' rather than 'sell.' Educating is far more powerful, more trustworthy and more relevant to website visitors than pure selling or even traditional marketing content. 2. Answer commonly asked questions about your business. A blog allows you to answer commonly asked questions so you only have to respond once. You can then easily refer to the response with a link in follow up communications. This can be particularly valuable for customer service and sales associates who are frequently responsible for answering customer questions, not to mention when you are simply trying to be helpful. 3. Build out FAQs on your website. A blog helps you build out Frequently Asked Questions on your site. Let's say the FAQ section on your website includes a list of commonly asked questions with short answers. You can take each FAQ and turn it into an in-depth article with pictures, diagrams and videos. 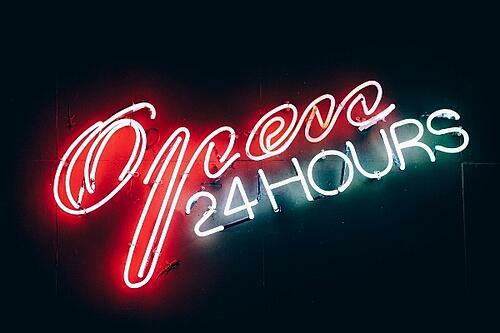 You can then add a link to your blog article in the FAQs so visitors can get more information about the topics they are researching, when they research even if it's in the middle of the night when your office isn't open. If you have no FAQs on your site, this is your opportunity to start developing that section. 4. Address a topic in depth in a blog article. You can hyper-focus on a keyword topic and/or longtail keyword relevant to your business and of interest to your prospects. Go in-depth, be unique and thorough, add valuable resources and make the blog article truly remarkable in addressing the topic. The beauty is that it will generate traffic to your business consistently over time. Think Pillar Content and Content Clusters. The content you publish on your blog can easily be repurposed into an ebook offer to help your business generate email leads. You can convert snips into social updates, or develop different formats for communicating your ideas, such as an infographic, a video, a podcast, a presentation, etc. All of that blog content means that you can show your passion for your business and category. Passion is contagious; it also differentiates you. It's human, and people like to do business with humans. 7. Demonstrate dependability and trustworthiness. By virtue of publishing regularly (i.e., at least once per week) and consistently over time (because this is how you do business), you demonstrate trustworthiness. Combine that with the passion (see #6) and the willingness to interact with readers via comments or email exchanges, you create a powerful testament to the character of your business. 8. Create fresh relevant content for your website. By publishing blog articles, you create relevant content for your site. For some businesses, it's very difficult to actually update website content and a blog platform provides you with a solution to that problem. 9. Give search engines a reason to index your website content. Each blog article you publish is a separate page on your website that can be indexed by search engines. This means far more opportunities to get found online than if you had no business blog. Imagine then creating individual blog articles around long-tail keywords related to your business, each of which represents an opportunity to connect with prospective customers and each of which contributes to further building your authority online. 10. Attract organic traffic to your website through you blog. Remember that generating blog momentum takes time and commitment - not too different from investing; the sooner you start, the sooner you see results. Plan on a minimum of 24 to 50 articles before you can expect to see traffic build up. 11. Focus on deep, thorough, evergreen content that can compound over time. As part of your content strategy, you'll want to develop really deep content on a topic (think 1000+ words). You can easily do so on your business blog by creating this kind of compounding content. And, if your prospects find your content truly remarkable, you'll be able to count on that article generating traffic well into the future and you'll want to note that article as one worth updating regularly. Here, too, think Pillar Content and Content Clusters. 12. Let your charming, conversational business self come through. On a blog, you can be more conversational than on your website pages. You can ask questions and respond to comments. This contributes to having a more human and approachable voice when you write (see #6) and generating trustworthiness (see #7). 13. Deep link to relevant content on your website. From a practical perspective, blog articles are ideal for deep linking to relevant website content. That way, you can introduce first time (or repeat) visitors to the products and solutions available on your site. You can also strategically create clusters of related content that link to like content. You can attract links from other online sources because your content is highly educational and informative. These links are desirable when they come reputable sources; they indicate that your content has authority and is worth directing traffic to. Your content is more likely to attract reputable attention when you create content that thoroughly and deeply dives into a topic and integrates perspective from other related resources beyond your own website. If you'd like more stats associated with having an active business blog, check out The 79 Latest Business Blogging Statistics. 15. Have something valuable to say on social networks. Quality blog articles give you legitimate material to share on social networks. And, if your content is truly remarkable, your social network will willingly help share and promote it. 16. 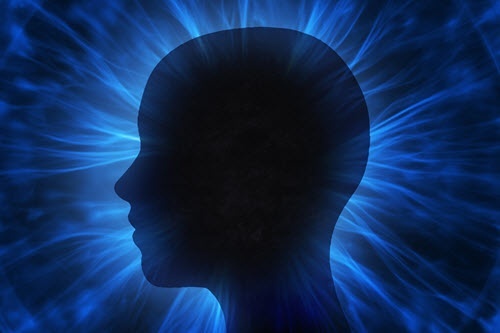 Become a thought-leader for your industry. On your business blog, you can write about trends in your industry. As you analyze those trends and provide your perspective, you should include links to those trends and other resources to add depth to your article. Doing so gives you added reason to stay on top of the latest industry news, it makes your curious about trends in other industries and how they might be relevant to you, it makes you compare and contrast and ask questions that you otherwise might not. It can make you stand out as a thought-leader. 17. Keep track of thought-provoking content. Your blog articles can capture references for all the great ideas and articles you come across online. This is particularly useful when you want to share insights about these ideas with like-minded others. 18. Embed videos and presentations. Blog articles are naturals for embedding videos or slide presentations, thereby allowing you to multipurpose content and easily share back stories with your website audience. This also makes it easier to share socially. You can truly create a content hub for your business that your associates can use in day-to-day business interactions. 19. Share blog articles in email newsletters. Blog articles are ideal content to share in email newsletters. This gives you a broader message to share, one other than 'buy now' and means that you are relevant across all phases of the buying process. 20. Signal that your business is alive. All of that regularly published blog content keeps your website fresh. It signals that your business is alive with ideas and solutions. Aim for a minimum of one new article per week. 21. Promote your offers in your blog content. 22. 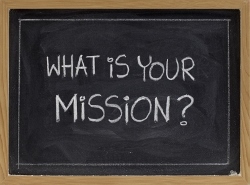 Bring to life your company mission statement. 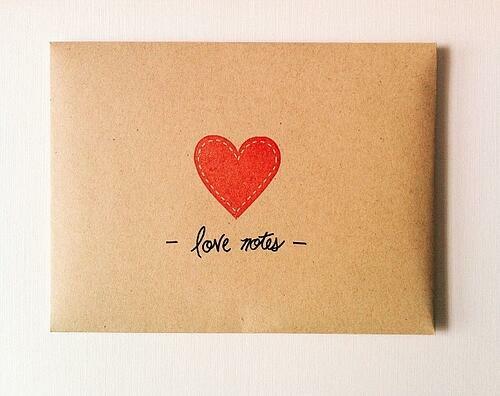 >> See What Great Brands Do With Mission Statements: 8 Examples. For example, check out Trader Joe's Dig In Blog and the Zappos Blogs. 23. Highlight those who make your business successful in your blog. In the spirit of giving back, a well-executed business blog offers your business the opportunity to highlight those who help make your business a success - customers, suppliers, associates, related businesses. You can do so in a blog interview type format and showcase what has made them successful in your industry. When you make others shine, they have reason to go out of their way to help you shine. 24. Support off-line activities through your business blogging. Not everything takes place online. Yes, that's a shocker. However, it's the truth. You attend networking events and trade shows, you participate in in-person interviews and maybe even TV shows or radio endorsements. For all of those, blogging allows you to support them. You can provide show notes and background perspective on presentations and interviews, or address discussion questions that came up and include links to relevant resources. Continue the off-line momentum by sharing a link to your supporting blog article to those who attended as well as those who didn't. 25. Test out marketing campaigns. Many a blogger has started out developing ideas on a blog that eventually become something bigger such as a book or a fully-developed campaign. For example, David Meerman Scott wrote about the new rules of marketing and PR on his blog before his book. 26. Understand customer personas better. Blog articles allow you to test out ideas, including how to package thoughts so as to appeal to specific personas over others. 27. Communicate PR-type news (product releases, upcoming events, etc.). This should not be all that you publish on your business blog. However, these kinds of articles can be effective for sharing news and including a personal or human spin on the story in comparison to a traditional news story. 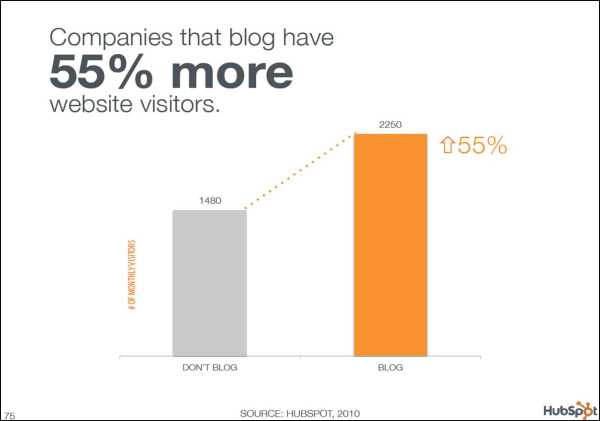 According to The Top 10 Benefits Of Blogging On Your Website, your blog "facilitates valuable discussion." 29. 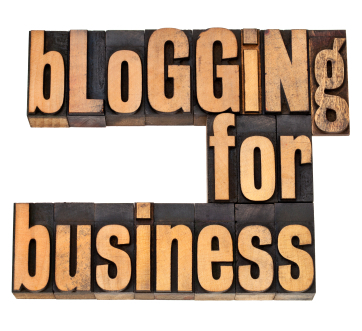 Blogging for your business is fun! "It can be fun. 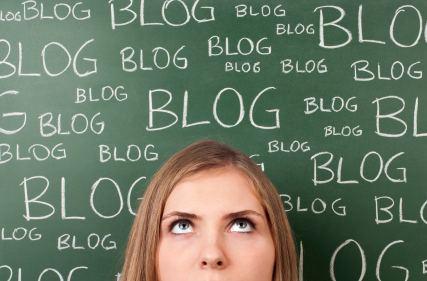 Blogging can be energizing, stimulating, and something you look forward to." 30. Take ownership of your online identity. The 20 Biggest Benefits of Blogging explains how business blogging allows you to "Take Control of Your Online Identity." 31. 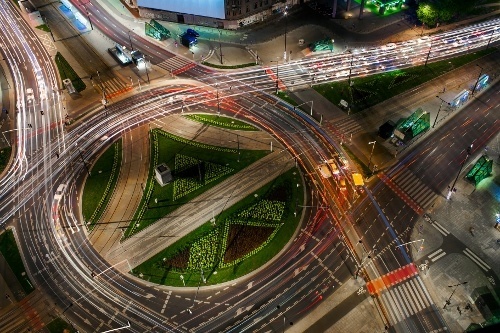 Generate positive ROI from your marketing blog. 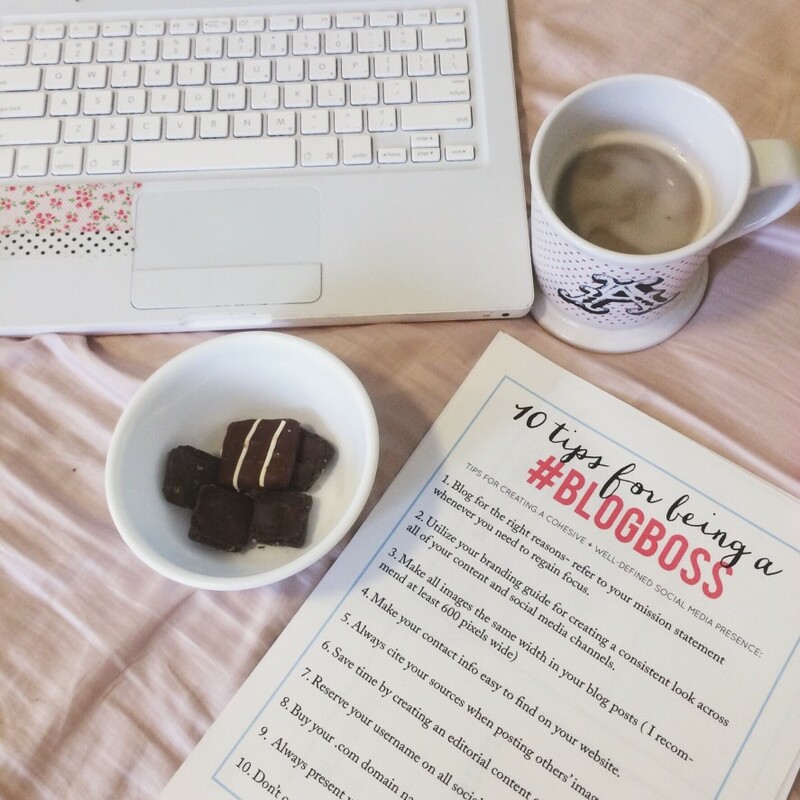 Last, but far from least, Top 8 Proven Benefits of Business Blogging highlights that "Business Blogging Generates a Positive Marketing ROI." Comments? Questions? Other benefits to add to the list? Here follow other resources that detail business blog benefits. 5 Ways a Blog Can Help Your Business Right Now offers legal, restaurant and home improvement examples. Are you ready now to launch your business blog? Have I given you enough positive reasons to start publishing? If not, tell me why. Note: This article was originally published on Oct 19, 2015 and has been updated.